So you want to start a brewery and you don’t know what to do about bookkeeping and accounting. Audra Gaiziunas, Brewed For Her Ledger, guides us through accounting solutions for your craft brewery. With a degree in accounting and a Masters of Business Administration, Audra worked as controller for Dogfish Head Craft Brewery. Later, she served on the board of North Carolina Craft Brewers Guild and worked as CFO of Mother Earth Brewing. Now Audra provides a “kind of one-stop shop, mercenary, CFO for hire” for craft breweries. She helps with accounting solutions such as business plans, pro-formas, costing templates, and software implementation. She also does operational audits and more. Recently Audra won a business plan competition at Oregon State University to earn an internship at Ninkasi Brewing. At the brewery in Eugene, Oregon, she enhanced her first-hand experience in production, technical, and maintenance aspects of Ninkasi’s operations. Not having enough capital on hand. You’ll need more than 3 month’s cash on hand. Not planning for information flow. Set up processes to make sure information and documents flow efficiently from one department to another. Not having funds for contingencies. Set aside 10%-15% for unexpected expenses. Set aside time each week to handle paperwork. Take a cash flow class at the community college. Use Microsoft Excel or simple accounting software to track your data. Ensure information is communicated between all departments of the brewery. Build a budget annually and review it monthly to stay on track. MOST IMPORTANT: Understand how much your beer costs at any given time, by beer type and by packaging type. Ask Audra any question about accounting, finance, and strategy for your brewery. Audra will keep watching the comments for the next 30 days to answer as many of your questions as she can. 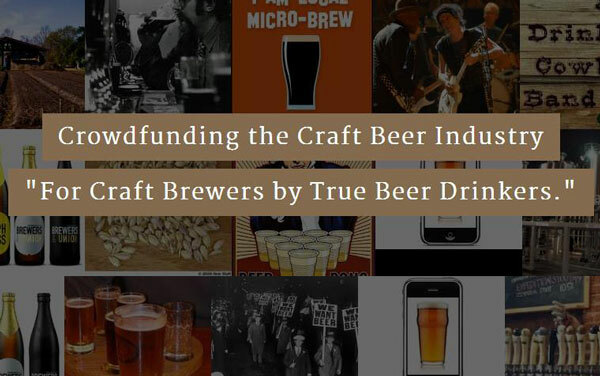 Be sure to connect with Brewed For Her Ledger and thank Audra for being on the show and for helping us out with questions. UPDATE: Thirty days is up, Audra is no longer monitoring the questions here. You can still reach her through the links below. Thanks for your great questions everyone! From Orlando: How do some breweries buy or lease a building for sometimes years while completing renovations and licenses? From Dan: How much capital does a brewery need to start? Where can they get the capital? Let My People Go Surfing: The Education of a Reluctant Businessman by Yvon Chouinard. Made to Stick: Why Some Ideas Survive and Others Die by Chip Heath. MicroBrewr 010: How Ninkasi Went From a 15BBL System to the 30th Largest Craft Brewery in the Nation w/ Ninkasi Brewing, May 6, 2014. What Does Your Beer Really Cost? Establishing and Effective Beer Costing Program in the Brewpub by Scott Metzger, The New Brewer, January/February 2012. MicroBrewr 033: Wastewater treatment solutions for a craft brewery, with Brewery Wastewater Design in Montrose, Colorado.